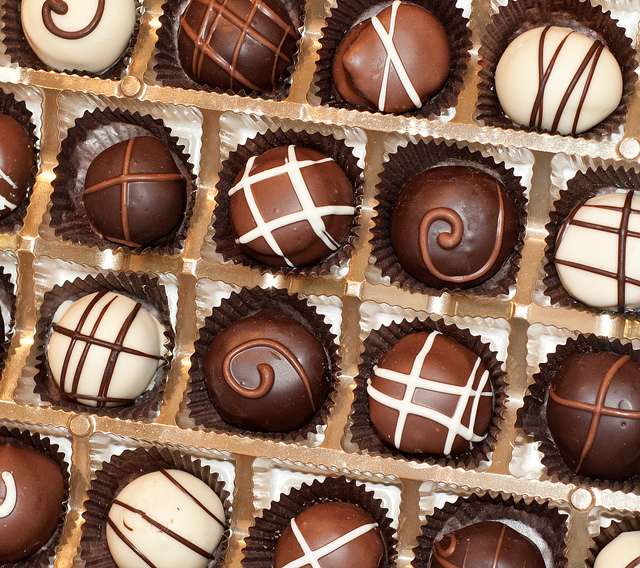 You are at:Home»Cruise Holidays»Themed Cruises»Calling all Chocolate Loving Cruisers! Calling all Chocolate Loving Cruisers! Cruises are designed with an inherent element of indulgence, it’s as simple as that. From dining on daily gourmet meals and being waited on by attentive servers to relaxing by the pool with a cocktail in hand and dancing the night away at a deck party, there’s no better way to treat yourself. And for cruisers that really want to take their holiday to a whole new level of decadence, a chocolate inspired itinerary is a one way ticket to pure taste-bud bliss. Have we got your mouth watering? If so, read on for our cherry picked list of the finest at-sea chocolate experiences the industry has to offer. 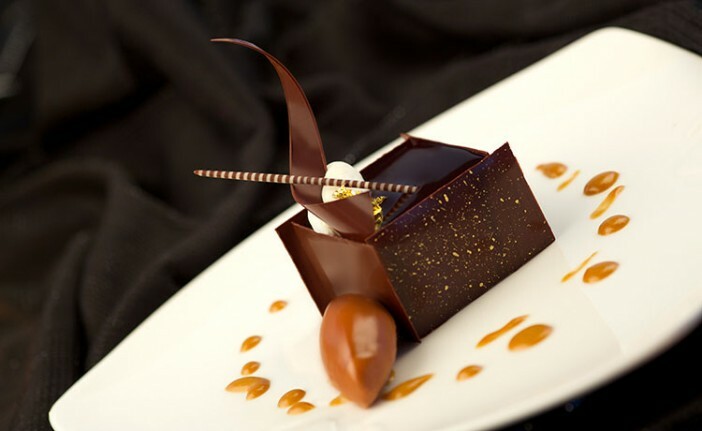 Luxurious, indulgent and deliciously sweet, Chocolate Journeys is an industry first bought to life by the self-confessed chocoholics at Princess Cruises. Norman Love steps up as head chocolate connoisseur and has created an exclusive selection of high end chocolatey delights for passengers to sample. We fell head over heels for the velvety smooth bittersweet chocolate mousse with caramel cream and milk chocolate crunch. Those who love their vino can hit up the Vines Wine Bar for a wine and chocolate flight that will transport taste buds to heaven. After loosening up with a glass or two head to the Lotus Spa for a celestial chocolate spa treatment that will entice the senses. Cooking classes are a wonderful way for passengers to learn how to craft their own chocolate creations while all-out pleasure seekers can head to the vessel’s bars for chocolate inspired cocktails. Chocolate chili margaritas anyone? Chocolate aficionados will be in their element during the all new “Chocoholic Night” events that make a special appearance on Norwegian Cruise Line itineraries. For one night only guests can select their choice of seven wickedly delicious desserts – our favourite is the oh so gooey warm chocolate volcano! For a fancy French style chocolate experience Le Bistro whips up a wonderful fondue complete with strawberries, bananas and other delicious dipping morsels. Suite guests with a sweet tooth (excuse the pun!) will love the daily delivery of handmade chocolates crafted by the ship’s in-house pastry chefs. The Trident Grill scoops a mean chocolate ice cream while passengers on Scandinavian itineraries will jump at the chance to sign up for a shore excursion tour of the Old Tallinn & Chocolate Making Workshop. Whoever said you couldn’t eat chocolate for breakfast? Certainly not Royal Caribbean! 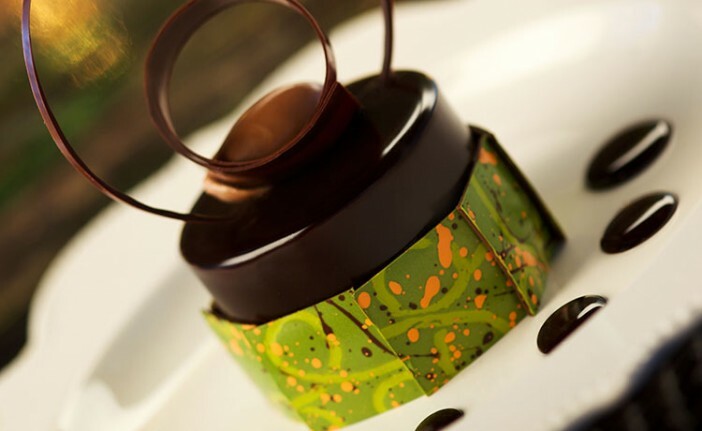 On one evening of each itinerary chefs spoil diners with a breakfast menu brimming with chocolatey delights. From pancakes and muffins to omelettes and pastries, the menu reimagines the conventions of when it’s appropriate to guzzle down chocolate! If so, read on for our cherry picked list of the finest at-sea chocolate experiences the industry has to offer.